On the eve of the NFL draft, we caught up with Greg Gabriel, the former head of college scouting for the Chicago Bears. 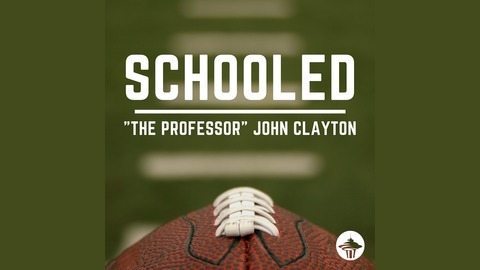 For Schooled with the Professor, we hit the draft pretty hard. 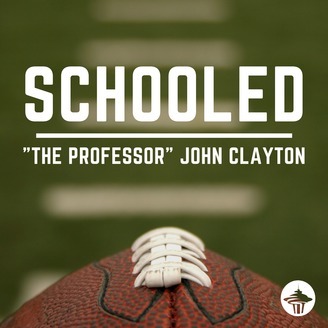 Greg educated us on the usual inside workings of the draft. As he said, normally teams are going to have first-round grades on 12 to 15 players and the next group may include 40 to 60 players who have second-round grades that are pretty close. Gabriel explains how teams think. He discusses the flexibility of drafting for need or trading down to get more choices and talks about the nuances of this draft. He breaks down how good it is on defense and explains the effects of some of the injuries to players heading into the draft. Great draft stuff from Greg Gabriel, who writes for Pro Football Weekly and does radio in Chicago and Buffalo.